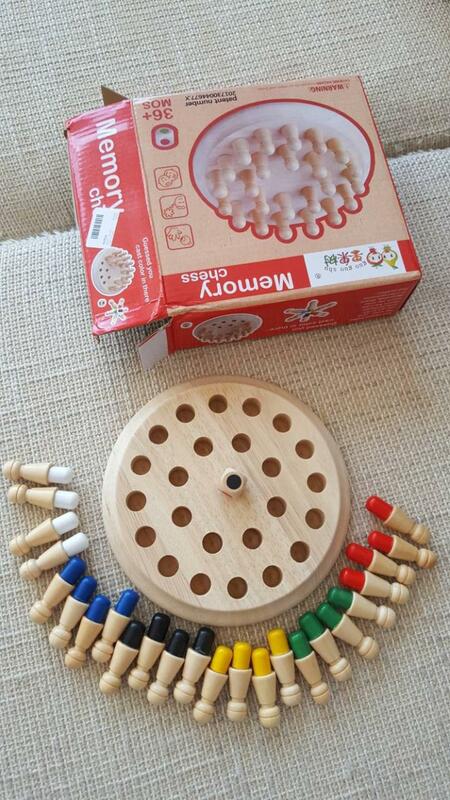 Made of high quality wood material, it is safe and non-toxic for kids to play. Children will gradually develop the ability to think and make a decision on their own. It is suitable for baby's three-dimensional imagination, color cognitive ability and stimulate the baby's curiosity. Great educational toys for training kid's thingking and imagination ability. Package size: About 18 * 18 * 5.5cm/7 * 7 * 2.2inch(L*W*H). Made of safe and non-toxic wooden material, allow you to use with reassurance. With painted smooth surface layer, it does not hurt kids' hands easily. Great educational toys for kids. 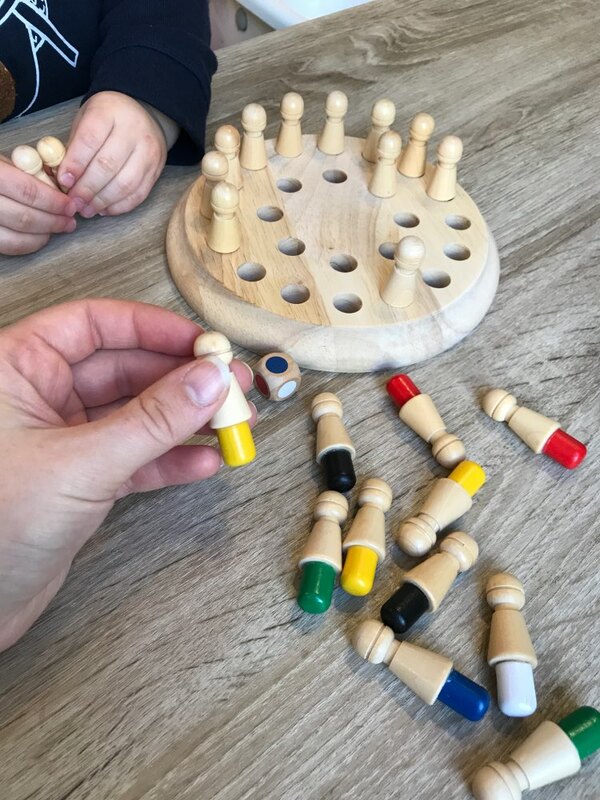 It can helpfullly improve kids' thinking ability through the game. How to play: 1.Put all the chessmen to the checkerboard ; 2. Shake the dice; 3.Take a chessman from the checkerboard. If the chessman is with the same color on the top of the dice then keep the chessman and who get more chessmen at last who wins the game. Looks like a lovely game. Looks like a lovely game. I haven't yet opened the internal plastic packaging as it's a gift, but all looks fine.